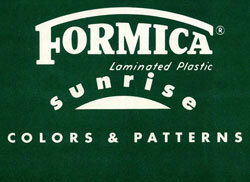 From the Vintage Vending archives comes this 1953 brochure featuring Formica’s Sunrise Collection. The catalog features 14 new color blended patterns for the Sunrise line, including linens, skylarks, pearls, walnuts and milanos. The colors and patterns were used throughout the ’50s. From what we can tell the line wasn’t altered much again until 1960. 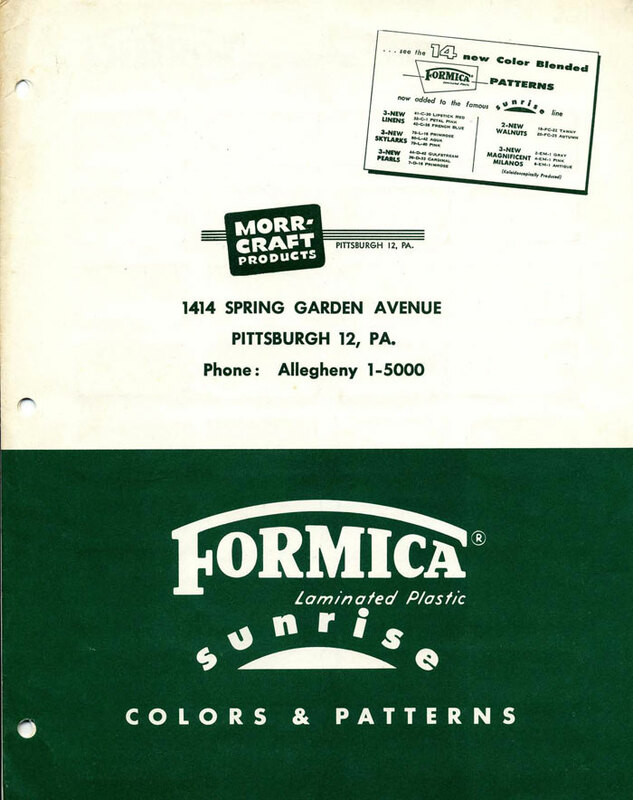 As we can tell by the information page, by the early ’50s Formica was well-known and quite popular. 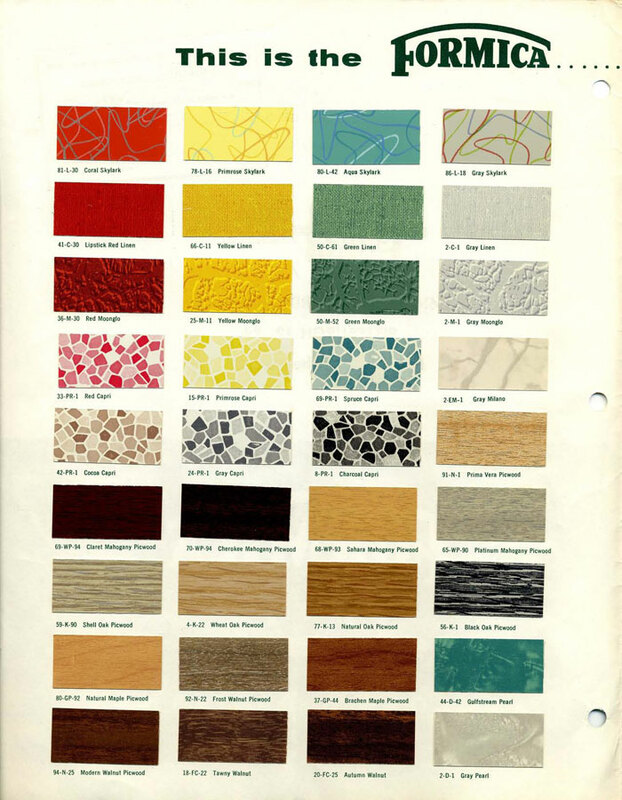 By this time Formica laminates were being used in homes, businesses, restaurants, bars, schools, hospitals and more. 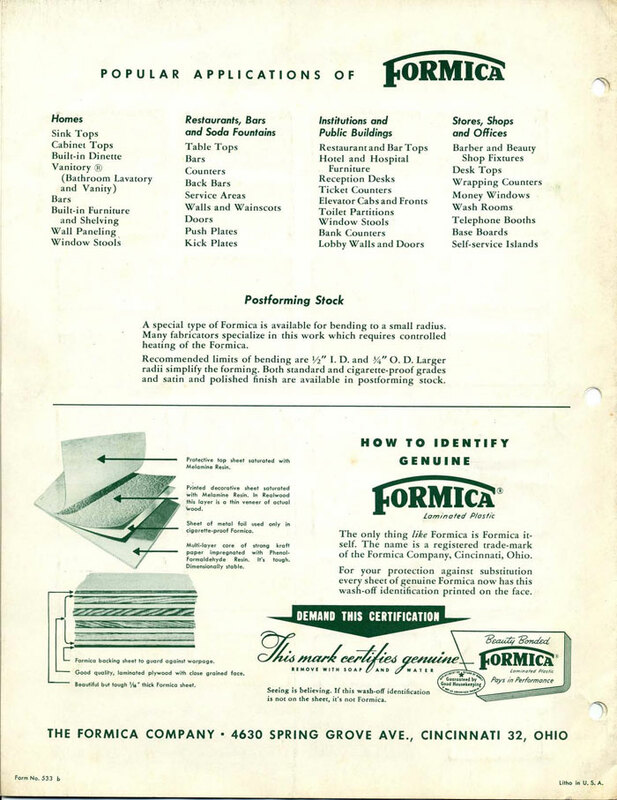 By this time competitors were touting identical quality, and the Formica Company went to great lengths (especially after being purchased by American Cyanamid in 1956) to protect its trademark. They had begun stamping a removable mark on every sheet. This page also shows the detail of the Formica build process. There were plenty of patterns and colors to choose from – including the popular boomerang design that became popular in diners and kitchens. The 1950s palette also included lots of pink! 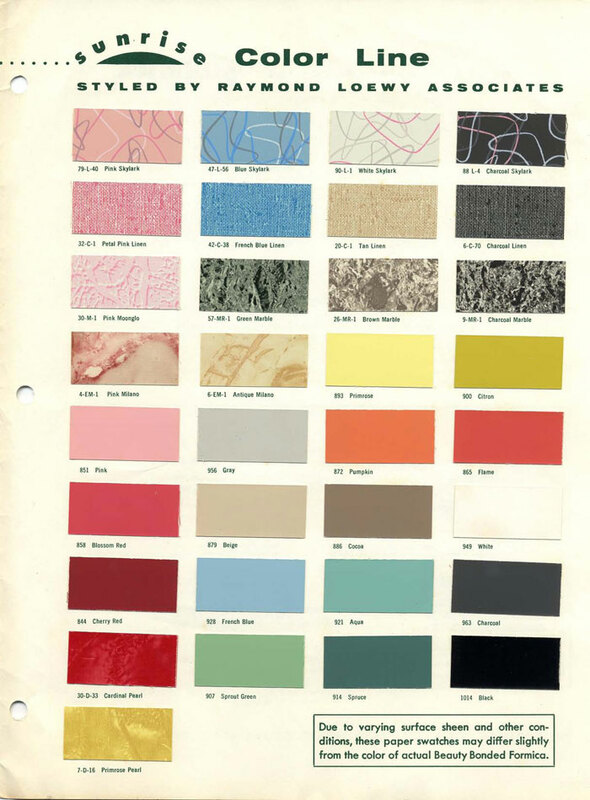 The 1950s palette included lots of bright colors, like yellow and red, as well as pink. The spectrum of solid colors was slim, as most people desired patterns, some of which gained more popularity in the ’60s (like wood grain).